The new issue of Radio Times, on sale this weekend and covering listings for 3-9th December features a snowy Doctor Who cover and a sneak preview of the new Christmas special. 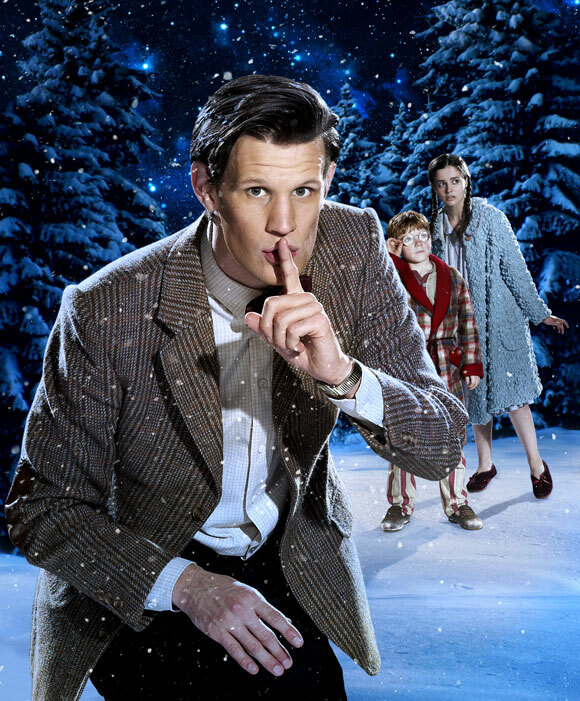 Inside, Matt Smith, Alexander Armstrong, Bill Bailey and Arabella Weir talk about making the Christmas episode. With thanks to The Radio Times. Don’t forget to visit their dedicated Doctor Who pages. Or as matt says it, christmassy. no, there isn’t much, is ther? They often put Doctor Who on the cover, but put about 3 pages inside! That was meant to be in reply to ‘BOOBOO JR’ but it decided to put itself down the bottom of the page. Sorry about that! I bought the Radio Times DW special last time with (related to TWORS) and all that was in there was 1 page on it! Bit of a waste of money, if yo ask me. Then again, quite a lot of things are a waste of money if you ask me! I know its well bad!